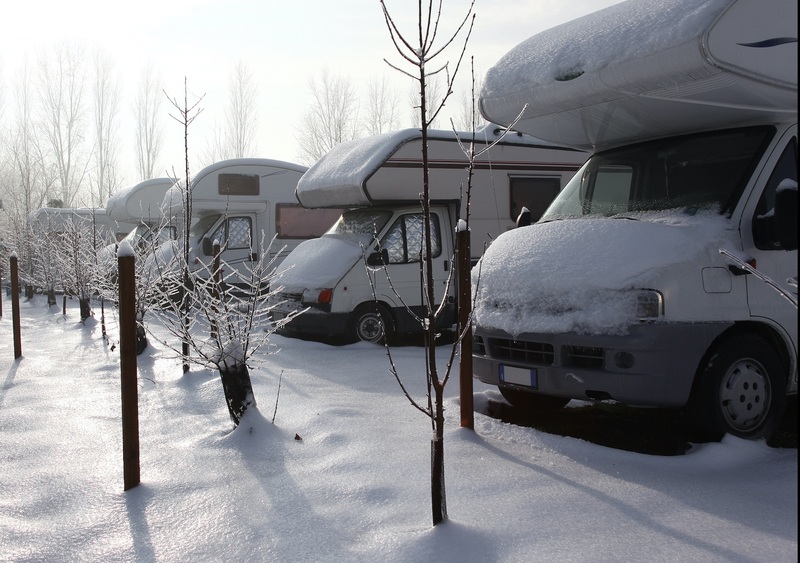 Yes, yes… unfortunately, winter will be here before we know it and, with it, RV storage units in Ohio are filling up. The leaves are on the edge of changing, and campgrounds will start emptying for the freezing months ahead. While you love having your RV parked in your driveway for summer, you may want to start thinking about where you’re going to store it for the winter to keep it safe from the mess of snow, and out of the way of your other vehicles. While time seems to zip by, we ask you to take a look at our RV storage options and offers. Our 12-acre site allows us to reserve a spot just for you, and we want you to be fully prepared for the winter ahead! Whether you need to keep it somewhere for a couple of days, or for six months straight, we’ve got some great options for you to pick from. Don’t let your RV stay in the snow all winter- come park it in one of our buildings for safe keeping! The upkeep of your RV is very important to us (it’s how you get to make those awesome camping memories! ), and we want to be available and helpful in any way that we can. Because of this, we’re offering a safe place for your RV to camp out during the winter! It’s super important to take care of your recreational vehicle, and we want to make it as easy and as simple for you to be able to do that. To reserve your storage area this winter, Contact Us.